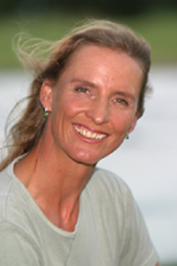 Helene is one of the world's few female certified lead guides and mountain guides in the helicopter ski industry. This unique background allows her, as an active member of the Canadian Association of Professional Speakers (CAPS) to provide an exciting series of entertaining information and inspiring presentations. Next time when your group needs a memorable speaker who understands the importance of personal excellence in a team environment, call Helene Steiner. 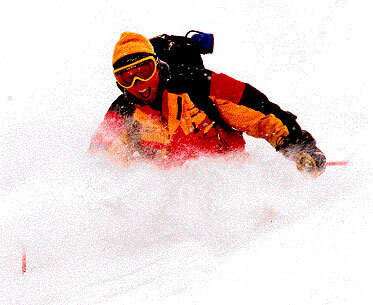 Helene Steiner has a passion for mountain adventure, and a love of people. After years of dealing with an international clientele, Helene has shared many exciting adventures. The lessons and experiences she has had, give her an insight into individual potential, allowing her to encourage and inspire people to push beyond their preconceived limits. 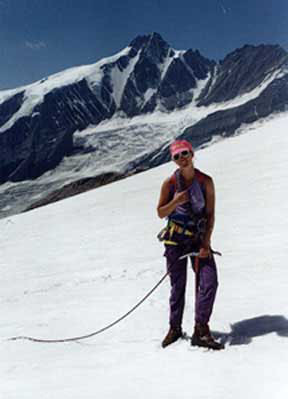 In her native Austria, Helene became the first woman ever to pass the rigorous certification tests to become a mountain guide. As a heliski guide, Helene explains: "You have to be a ski instructor, mountaineer, avalanche expert, motivator and psychologist all in one". Helene now lives in Whistler, Canada. 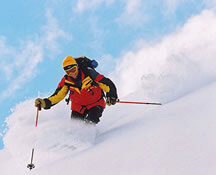 In addition to her career as one of the industry's top heliski guides, she owns Canadian Adventure Tours Inc. (CAT). CAT is a destination adventure tour company which provides its international clientele with exciting activities from mountain biking to rock climbing, river rafting to horseback riding and more. We are happy to custom package your dream holiday with accommodation, transfers, gear rental and additional activities and look forward to working with you soon!